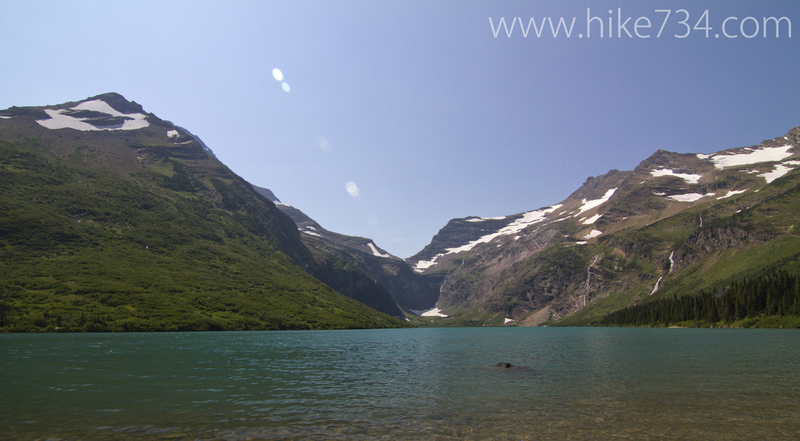 Gunsight Lake is an emerald-colored lake walled in between Mt. Jackson on its south side and Gunsight Mountain on its north side. Water falls from all around these mountains, filling the basin with their sound. 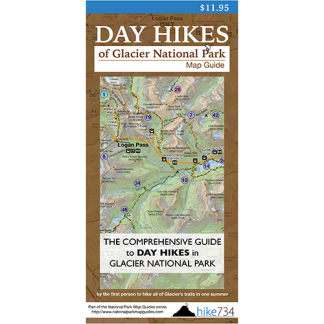 Starting at the Jackson Glacier Overlook, you will drop down 600 feet in the first 1.25 miles and then will begin heading up the valley. For the next 3 miles, you will spend most of your time in the trees with some breaks, such as Mirror Pond. Just past the pond, you will begin to gain elevation and pass the 0.76 mile spur trail for Florence Falls, where the views will begin to open up. Turning around, you get a great look at Going-to-the-Sun Mountain while mountains Dusty Star and Citadel stand tall in front of you. In the distance, you can see both Blackfoot and Jackson glaciers with the many peaks that surround them. Once in the basin, you see the massive headwall with Gunsight Pass. A short walk reveals Gunsight Lake which makes a fantastic spot for lunch. Trailhead: Park at Jackson Glacier Overlook on Going-to-the-Sun Road and take the trail on the west side of the road.